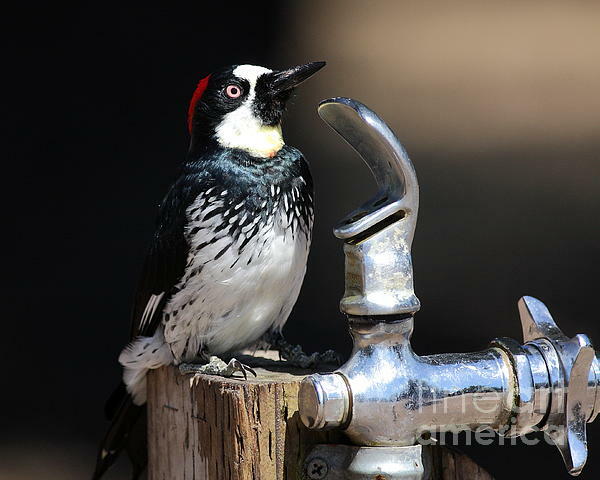 Thirsty Woodpecker by Wingsdomain Art and Photography. Wingsdomain.com is based in the San Francisco Bay Area, providing unique and diversely creative Art and Photography through fine prints to collectors from all around the world since the early eighties. Subjects include animals, birds, landscapes, floral, architecture, automobiles, airplanes, and much more. Select images from Wingsdomain.com are available for licensing, please Inquire Here.